Result of U.P. 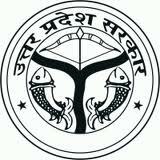 Higher Judicial Service (Main Written) Examination, 2012 Result of U.P. Higher Judicial Service Main Written Examination, 2012 The result of U.P. Higher Judicial Service (Main Written) examination, 2012 held on 7th, 8th and 9th September, 2012 has been declared. The following candidates who secured 50% or more marks in the said examination have been declared successful. The Interview call letters are being uploaded on the official website of this Hon'ble Court (i.e.www.allahabadhighcourt.in) and can be downloaded using User ID and password issued earlier (or by filling name, Father's / Husband's name and date of birth). Interview of the candidates declared successful will take place on 7th, 8th and 9th January, 2013 from 10:30 a.m. onwards in the High Court. Online applications are invited from desirous and eligible candidates for engagement of Teachers (Primary) under the scheme of SSA in the schools of South DMC. 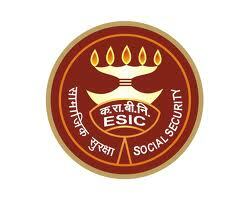 Qualification:- Senior Secondary (10+2) or intermediate or its equivalent from a recognised Board / University / Institute. GUWAHATI: The Gauhati high court in an order upheld the state education department's decision of making 50 per cent marks in graduation compulsory for candidates to appear in the Teacher Eligibility Test (TET) for recruitment at the high school level. Though the high court earlier in an interim order allowed eligible candidates even with less than 50 per cent marks in their graduation to apply for the TET examination following a prayer by the All Assam B.Ed Trained Unemployed Association, the high court in its final order upheld the state education ministry's decision. All Indian Citizens, Persons of Indian origin (PIOs) and Overseas Citizens of India (OCIs) as well as non-Indians who are exceptionally bright and motivated with an established record of independent high quality research and committed to teaching are invited to apply for the following positions in the departments namely: 1. Food Science & Technology, 2. Engineering, 3. Agriculture & Environmental Science, 4. Food Business Management & Entrepreneurship Development, 5. Basic & Applied Sciences. 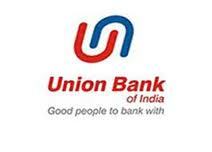 The following candidates who have applied for the post of Architect under Union Bank Recruitment Project ‐ 2012 ‐ Specialist Officer have been provisionally selected for appointment in the Bank subject to their submitting all the required documents / papers and medical fitness for employment. The selected candidate will soon be sent Offer of Appointment at the communication address given by them in their IBPS Application. Applications are invited from eligible Indian Nationals for the following posts in Bharat Dynamics Limited. Selected candidates may be posted at any of our Units (Kanchanbagh-Hyderabad, Bhanur-Medak District, Vizag & upcoming New Projects). http://recruitment.cdacmohali.in for filling up of the following posts in the Punjab Home Guards & Civil Defence Department. LIC of India proposes to engage Direct Sales Executives for various offices of the Corporation purely on a contract basis for a period of three years only under the jurisdiction of 8 Zonal Office. The approximate number of Direct Sales Executive required will be 877. The number of engagements may be changed during the selection process depending on the requirements of the office. 1. Registration karne par jo Registration slip aati hai uska print jaroor karaye. Jo log apne laptop se form fill kare aur printer na ho to doc file par print screen se Registration Slip ki copy kar ke doc file par save kar le.Aur baad me print nikal le. How to Apply : Application fee of Rs. 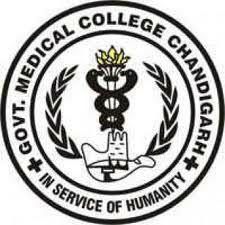 100/- (25/- for SC candidates) in the shape of Demand Draft, payable at Chandigarh, drawn in favour of Director Principal, Government Medical College & Hospital, Sector-32, Chandigarh along with application duly completed should be submitted in the office of the undersigned on or before 20/12/2012 upto 04.00 PM. Application Fee : Demand Draft for Rs. 100/- drawn in favour of Security Printing and Minting Corporation of India Ltd. payable at New Delhi. Application Fee : Demand draft of 500/- (250/- for SC/ST/PWD candidates) only in favour Director, NIT Raipur payable at Raipur. How to Apply : Apply Online at NIT Raipur website on or before 25/12/2012 only. The printout of submitted application form along with all supporting documents and application fee in an envelope superscribed “Application for the post of ……“ must reach to The Registrar, National Institute of Technology Raipur, G.E. Road Raipur ( C.G.) India – 492010 on or before 04/01/2013 upto 5.00 PM by registered post or speed post only. How to Apply : Apply Online at DMRC website from 11/12/2012 to 31/12/2012 only. Take print our of the system generated slip and send it to Executive Director (HR), Delhi Metro Rail Corporation Ltd, 3rd Floor, Metro Bhavan, Barakhamba Road, New Delhi - 110001 by 10/01/2013. Applications are invited for the following posts in the “Center with Potential for Excellence in a Particular Area (Biodiversity) under Faculty of Life Science. The posts are temporary and shall be terminated at the end of the CPEPA in Biodiversity phase –II project. Qualification : Ph.D. in Zoology/ Botany/ Life Science/Biotechnology having research experience in Reproductive endocrinology/ Molecular Biology technique/ phytochemical analysis and its validation/ Fish Biology/Entomology/ microbial research / any other biological research evidenced by high quality publications. Candidates have to carry out extensive field work in Arunachal Pradesh. How to Apply : Applications completed in all respect should be sent to Prof. H. N. Sarma, Coordinator, Center with Potential for Excellence in Biodiversity and Head of the Department of Zoology, Rajiv Gandhi University, Rono Hills, Doimukh, Itanagar – 791112, Arunachal Pradesh on or before 31/12/2012. 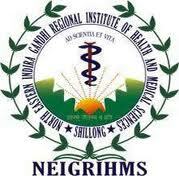 How to Apply : Complete applications may be sent in the prescribed proforma to the, Recruitment Cell (Establishment Section – II), North Eastern Indira Gandhi Regional Institute of Health & Medical Sciences, Director’s Administrative Block, P.O Mawdiangdiang,Shillong-793018 superscribing “Application for the post of ..........”. Last date of receipt of applications is 07/01/2013. Applications are hereby invited for filling up of following post purely on contract basis under Sarva Shiksha Abhiyan Society, U.T., Chandigarh. Qualification: Candidate must be MA/M.Sc and B.Ed retired Principal/Heads of School/PGT/TGT teacher of U.T., Chandigarh, Punjab and Haryana may apply indicating the subject specification in application for which he is applying. Age limit : The upper age limit for all the posts up to 30 years. The age is to be calculated in reference to the closing date of submission of application. How to Apply: Applications in the prescribed proforma (available at website: www.ssachd.nic.in) with complete biodata, self attested photocopies of Educational and Experience Certificate, if any, recent passport size photograph and bank draft worth Rs. 300/- (for General and OBC category) and Rs. 150/- (for SC category) in favour of State Project Director, Sarva Shiksha Abhiyan Society, U.T., Chandigarh payable at Chandigarh may be sent to the office of the undersigned i.e. O/O The State Project Director-Sarva Shiksha Abhiyan Society, UT, Establishment Branch, 3rd Floor, Additional Deluxe Building, Sector-9D, Chandigarh by 26.12.2012. Age Limit: Candidates age must be between 18 to 35 years as on 30-11-2012. Relaxations will be as per the rules of Chhattisgarh Government. 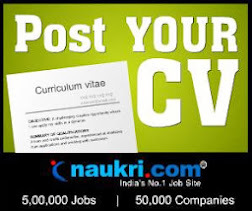 Qualifications: B.E/B.Tech/Polytechnique Diploma for Technical Assistant post, Second Class Pass in B.Com for Accountant post, Higher Secondary/10+2 pass from any recognized university for Helper (Grade-III) post, MBA or equivalent for Co-Ordinator & Helper post, B.E in Computer Science or equivalent for Assistant Programmer post, 10+2/10th pass with 2 year diploma in DTP in any discipline for Data Entry Operator post, 5th pass for the post of peon. Selection Process: Candidates will be selected on merit basis. How to Apply: Candidates have to apply in a prescribed format which can be downloaded from Surguja website, fill the application with correct information and enclose all relevant certificates supporting to the prescribed post. Send the application in closed envelope superscribe as MGNREGA & Post name to be applied for through Speed Post/Registered post before 17-12-2012 to the Chief Executive Officer, Zila Panchayat Surguja, Chhattisgarh. Last date for the receipt of filled in Applications: 17-12-2012.